Here’s a question for you; if there’s a Christmas lunch and there’s no trifle on the table, was it even Christmas at all? These are the things I lie awake and think about at 3am. Also, why do we still struggle with Christmas puddings, custard and roast turkey’s in the middle of summer. 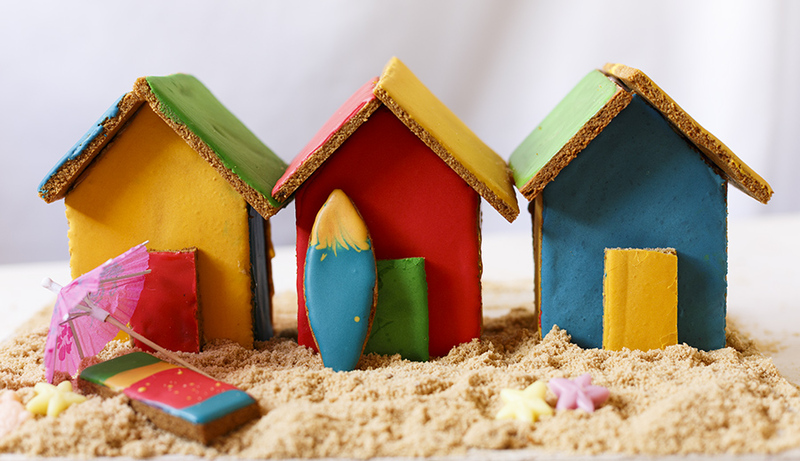 I’m not saying we should abandon traditions that spilled over onto our South African shores, but, each year I long for us to inject our own flavour and twists onto them. In our home, we’ve stripped the British Christmas down to one thing; gammon. That’s it for us! Give us gammon, and it’s Christmas! Last year was the fall of the trifle and the year before that, the turkey got the axe. But unlike all the other hot puddings, trifle fits with our climate which is how it came to get a bit of Pinotage, some milk tart and a drizzling of naartjie caramel. And because we’re huge fans of the eclair in SA, I thought I’d get rid of the sponge too. 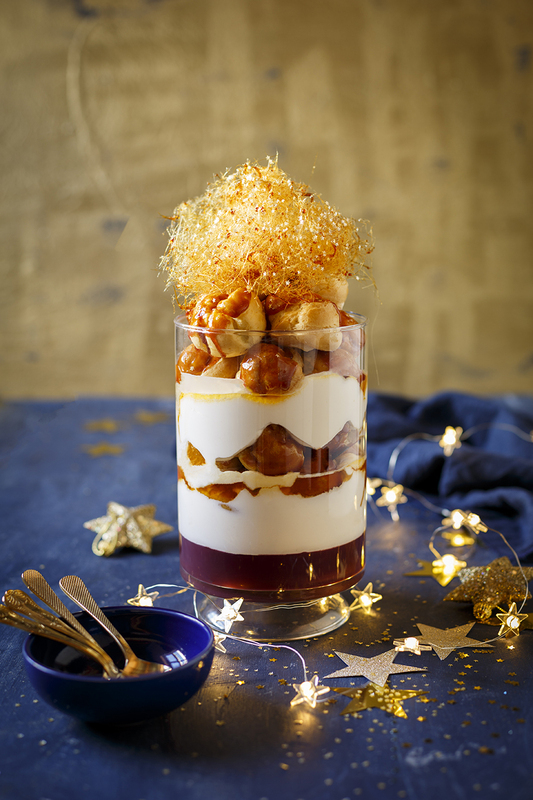 These flavours together are just magic – in fact, the trifle may just be making a comeback on our Christmas menu! If you’re skipping the booze, then swop the Pinotage for Naartjie juice but it really does taste incredible with the milk tart filling. 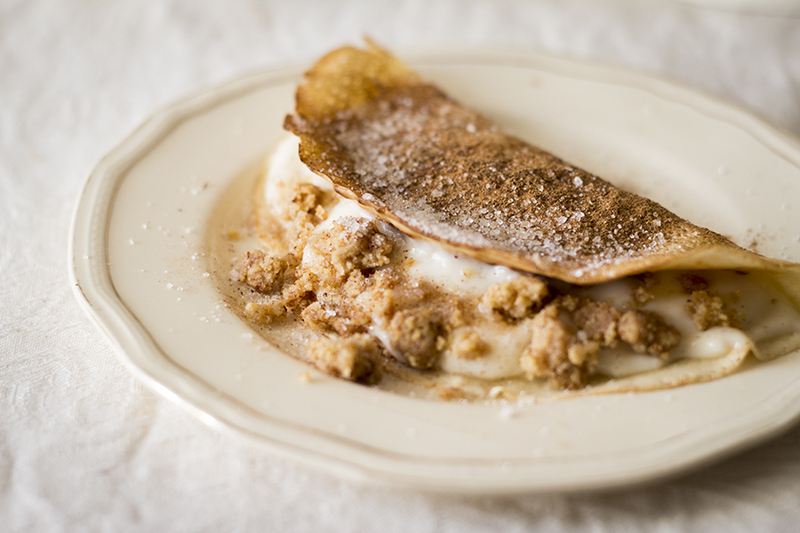 And the best part about this dessert is that it can be made ahead of time – bonus! 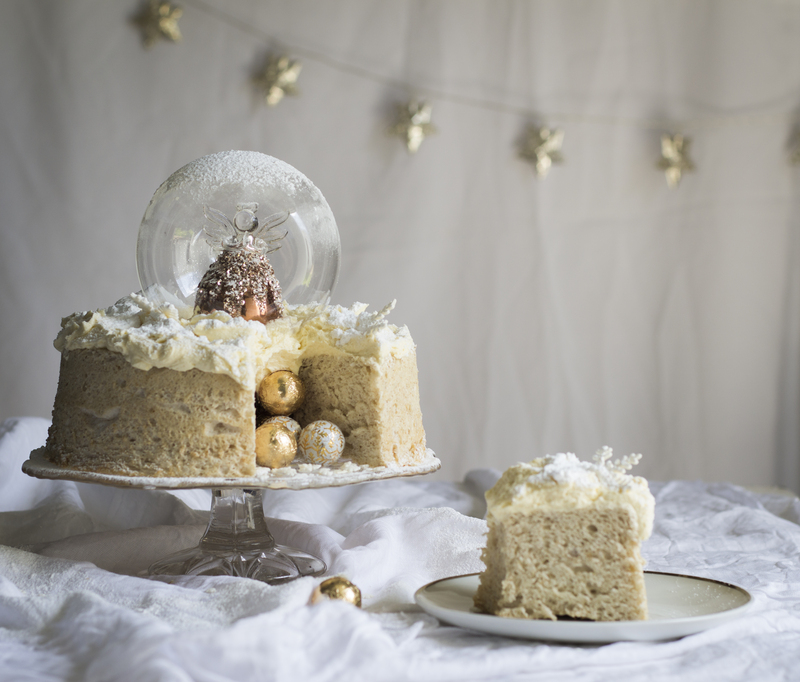 Which traditional Christmas dessert do you wish would get a local makeover? 1 For the éclairs, preheat the oven to 200°C (180°C for fan-assisted). Sieve the cake flour. Heat the butter and water in a pot over high heat until just melted and bring to a rolling boil. Immediately remove from heat and add all of the flour at once. Mix until a smooth dough forms, return to the heat and cook, about 1 minute or until the pastry pulls away from the sides of the pot. Allow to cool completely. Transfer the mixture to a stand mixer fitted with a paddle and beat until cool. Add the beaten eggs into the pastry, a little at a time, until smooth, shiny and of a piping consistency. Add a little more egg, if needed. Place the pastry in a piping bag fitted with a large plain nozzle. Pipe tablespoonfuls of mixture into lined baking trays, leaving enough space to puff up. Bake, about 15 – 20 minutes or until puffed up and golden. Switch off the oven, remove the puffs, pierce each with a skewer to allow steam to escape and immediately return to the oven to dry out, 5 minutes. 2 For the milk tart filling, heat half of the milk with the cinnamon quill until just below boiling point. Set aside to infuse, 5 minutes. Whisk the remaining cold milk with the cornflour, castor sugar, ground cinnamon, vanilla and egg yolks. Whisk into the hot milk. Cook over medium heat until thick and the flour taste is cooked out, about 5 minutes. Remove the cinnamon quill. Beat the 2 egg whites until soft peaks start to form and slowly fold into the custard. Pour into a medium-sized dish, cover the surface with cling film and refrigerate until set. 3 For the pinotage jelly, soften the 3 gelatine sheets in a bowl of cold water. Once soft, squeeze out the water and transfer to a small pot with 250ml (1 cup) of the wine, sugar and spices. Cook over medium-low heat, stirring constantly, until the gelatine and sugar are completely dissolved, about 3 minutes. Strain through a fine sieve into a jug and stir in the remaining red wine. Pour the mixture into the bottom of a large 4-litre capacity trifle bowl and refrigerate until set. 4 For the naartjie caramel, place the castor sugar in a saucepan and heat until caramelised and golden. Deglaze with the naartjie juice, bring to a boil and remove from heat. Set aside to cool. 5 To assemble, fold half of the whipped cream into the set milk tart filling, place in a piping bag with a plain tip nozzle and fill the profiteroles. Make a caramel by heating the castor sugar in a saucepan over medium heat and cooking until golden. Remove from heat and dip the tops of the profiteroles into the caramel, working quickly so that it doesn’t set hard (use the remaining caramel to make spun sugar, if desired). 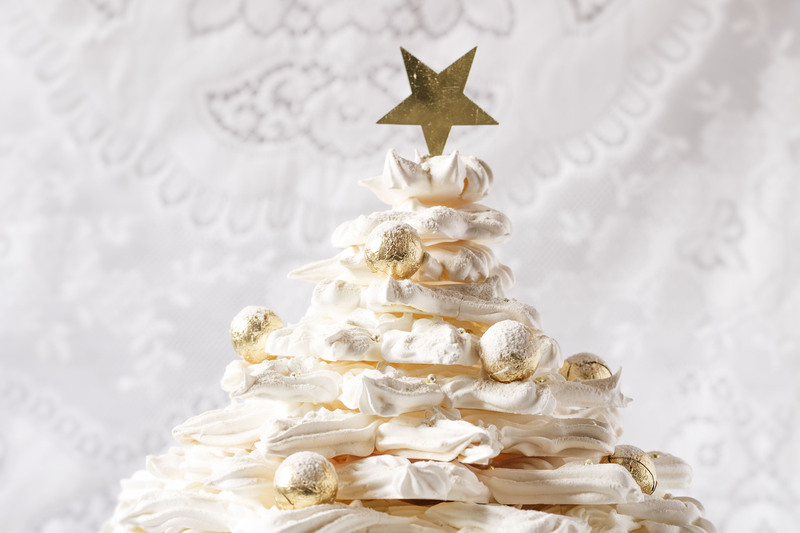 6 Stir the icing sugar into the remaining whipped cream, and layer the profiteroles and whipped cream in alternate layers. Drizzle with the naartjie syrup in between. 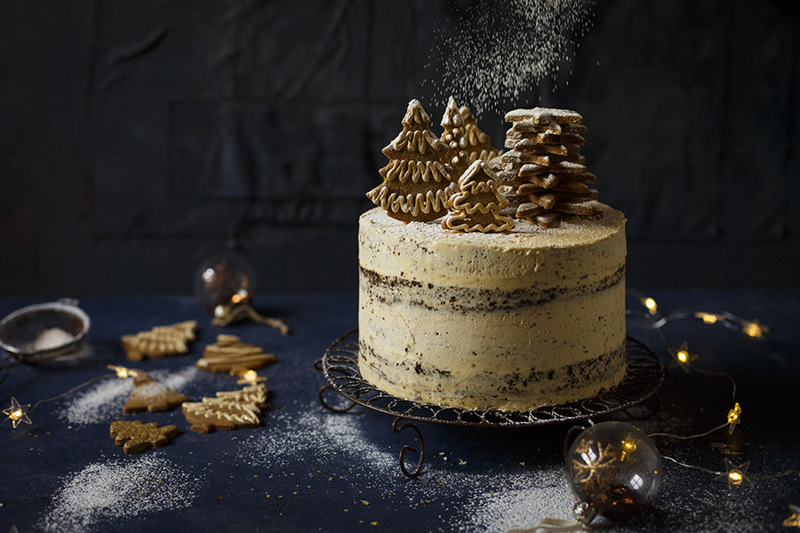 Decorate with spun sugar and edible gold stars, if desired. TIP To make the spun sugar, tape 2 wooden spoons, 10cm apart, onto a benchtop with the handles hanging over the side of the bench. Place a sheet of baking paper on the floor under the handles. Once your caramel starts to set, use a fork or whisk and quickly flick the caramel back and forth between the handles of the spoons to form thin strands. Once set, gather the strands and shape into a large ball. Use immediately. How ,Many people does this trifle serve. How many people does this trifle serve.